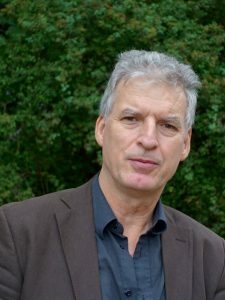 Franck Salaün (Ph.D. Sorbonne) is professor of Literature and Cultural studies at the University of Montpellier. He was before Lecturer of French literature and culture at the University of Groningen (NL). He is the founding editor of the collection « Fictions pensantes » (Hermann, Paris). Since 2016, he is also editor of the Recherches sur Diderot et sur l’Encyclopédie. Franck Salaün’s research interests include: Cultural History (18th-21th centuries), Cultural Studies, Migration and Intercultural communication, Individuals, groups and diasporas, Cultural dynamics of diasporas, Enlightenment and Anti-Enlightenment traditions until the present day (circulation of ideas), Books, values and circulation of political models, Cultural transfers, Postcolonial issues, Representations of migrants and from migrants compared, Methodologies of Historical Transformations in Modern Travel, Globalisation and Migration Processes. Franck Salaün will co-supervise one MOVES research project: “Methodologies of Historical Transformations in Modern Travel, Globalisation and Migration Processes”. This project has received funding from the European Union's Horizon 2020 research and innovation programme under the Marie Skłodowska-Curie grant agreement No. 812764.